EON Web Services designs, builds, hosts and maintains websites for businesses of all sizes. Our websites are professional quality, easy to maintain and affordable. We are often asked to improve websites built by others. EON Web Services is an affiliate of EON Group International, the people that built EbonyiOnline.com, AfikpoOnline.com and many other high quality websites. Our services are superior to others because we combine expertise in website construction with expertise in managing data (content management). Content management is the most important factor in ranking a website today, according to Google. And this is a skill only a few website builders have (most web builders can design and build a website but fall short in content management). Our services include (1) website design and construction + (2) the ability to create website content from scratch – we have the equipment and trained staff to write web pages, take photos, record videos and pull it all together from scratch or using the materials provided to us + (3) world-class professionals ready to edit website materials so that it looks professional and attractive for local and international audiences + (4) ability to manage large amounts of information online – before and after the website is built. To see examples of our work, click here. To see our packages and prices click here. Email: Click here to email us and get a speedy reply. Office: 31 Ngodo-Amachi Road, Afikpo, Ebonyi State. Ebonyi USA was established to serve as an umbrella organization for all Ebonyi people in the United States and a platform for advancing the progress and welfare of our people at home and abroad. As an umbrella organization, Ebonyi USA is open to all Ebonyi people, groups, chapters and supporters of our dear state. Our goal and mission is to facilitate the unity, sharing of information and resources, and the collaboration of all Ebonyians in the United States in order to advance the progress and welfare of our people at home and abroad. Ebonyi USA welcomes all Ebonyi people, groups, friends and well wishers to join us in this endeavor. The best way to contact us is by email. Click here to visit our contact page and complete the contact form. We look forward to hearing from all our all Ebonyians at home and abroad. We train pre-primary and primary school pupils. We also train hearing-impaired pupils. We are the only College of Agriculture in the South East Zone of Nigeria. We produce a good number of agriculture graduates yearly. Azuewah Motors is your one-stop shop for minivans, sport utility vehicles (SUVs), trucks and sedans. Since its establishment, Azuewah Motors has sold over one hundred (100) cars and trucks to individuals, corporations and government agencies. 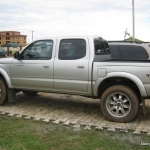 Most cars were sold to Ebonyi indigenes who reside in Ebonyi, other parts of Nigeria and overseas. 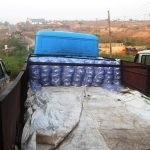 We have also sold to government agencies such as the Ebonyi Mobile Health Clinic. To place an order a car to be delivered to you from the United States, contact our US office at 7515 Annapolis Road, Suite 400, Landover Hills, MD 20784. Phone: 301-379-1024 or 301-523-8085, Fax: 301-918-9513.